CooksRecipes special collection of family-favorite recipes for breakfast and brunch dishes that you can count on for successful deliciousness. 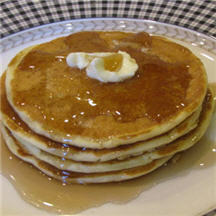 These easy, low-fat and delicious buttermilk pancakes are so tender they're almost as light as air! 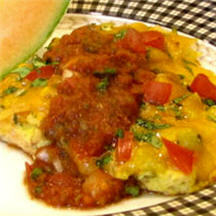 Crispy fried wedges of corn tortillas cook inside this Southwestern-style frittata with mild green chiles and onion, topped with cheddar cheese, diced tomato and fresh cilantro. 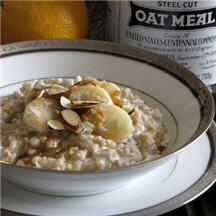 The cut grain of steel-cut oats takes longer to cook than rolled oats — but the result is a distinctive, chewy texture that makes it all worthwhile!